A guide, a journal, a resource for photographers. This guide gives you the basics of photography, from exposure to composition. Next a practical approach with assignments, and inspirations. You will find photographers to explore and 28 day challenges to shoot. You even have pages to write your insights and discoveries. 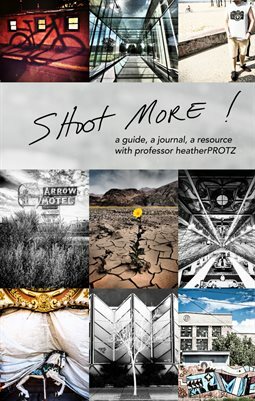 This book is meant to travel with you, to be a part of your photographic life.